SASP Training Poster — Perfect repetition leads to perfect performance, but getting perfect “reps” with a live firearm isn’t easy. 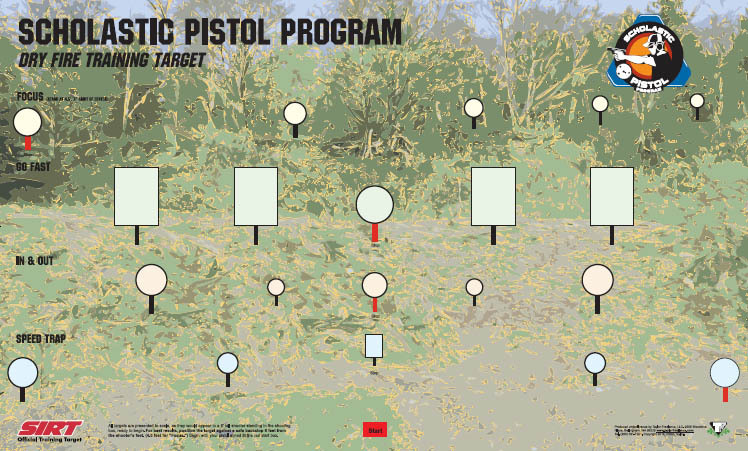 This poster was designed to be pinned up more-or-less permanently on a shooter’s wall, allowing them to practice the motions and study the transitions/timing of the entire SASP course of fire at home. Paper posters aren’t bulletproof, so if you plan to dry fire with a real handgun, make sure you’ve got the poster mounted over a proper backstop. We recommend the full-size for the most realistic experience, but we offer a half-size too if you’re pushed for wall space. 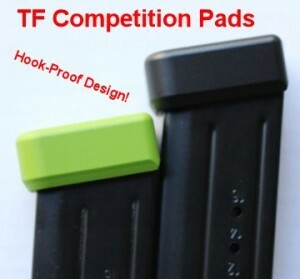 Pocket Pro Timer — The official timer of the International Defensive Pistol Association (IDPA), the Pocket Pro has been the go-to timer in practical shooting for many years. 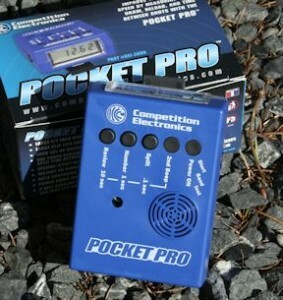 You’ll find fancier, more complex timers, but the Pocket Pro is well-known for value and ease of use. It handles all the functions you’ll need (including handy “par time” and timed start functions for training) at a relatively low price point. SASP Stage Marking Kit — If your range has a gravel floor, consider using survey whiskers! 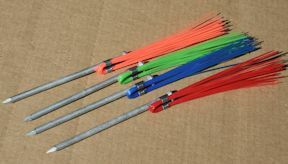 Our marking kit gives you enough spikes and color-coded whiskers to pre-mark the entire SASP course. Pound the spike into the ground under the spot where each target goes, leaving only the whiskers showing. Next time you come to the range, leave the tape measure in the car. Center the corresponding target stand on top of each whisker, and you’re done! SIRT training pistols — We heartily endorse the SIRT training pistol as a training aid — particularly for coaches. Nothing speeds up a shooter’s understanding of sight picture and trigger control like a SIRT.